In this talk, Dr. Hedstrom will situate digital curation along a spectrum from a highly specialized profession focusing exclusively on selection, “organization,” access and preservation of digital objects to a basic set of skills in identifying, evaluating, keeping and using digital information that every user of digital technologies should possess. 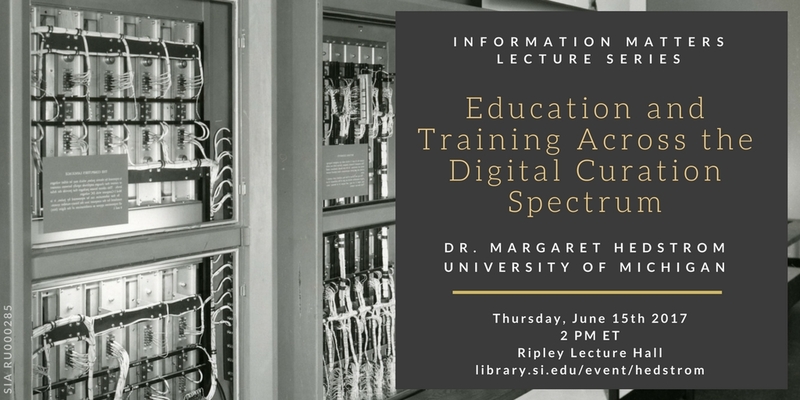 The talk will cover the mixture of curation knowledge, domain knowledge, and technology skills that professional curators need, but it will also discuss the significance of broad “digital literacy” for achieving effective, scalable and affordable approaches to digital collections. Finally, she will discuss new modes of teaching and learning this new set of skills. This presentation will be of particular interest to those working in digital curation for cultural heritage institutions and universities, as well as students, faculty and mentors. Margaret Hedstrom is the Robert M. Warner Collegiate Professor of Information at the University of Michigan where she teaches in the areas of archives, collective memory, and digital curation. She was PI for two large NSF-sponsored projects: SEAD (Sustainable Environments – Actionable Data) and an IGERT traineeship called “Open Data” that investigated tools and policies for data sharing and data management across multiple disciplines. She was a member of the Board for Research Data and Information, National Academy of Sciences and chaired the National Research Council study committee on Data Curation Workforce and Education Issues. 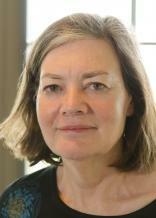 She has served on numerous national and international boards, including the National Digital Strategy Advisory Board to the Library of Congress, the Advisory Committee on Historical Diplomatic Documentation, U.S. Department of State, the ACLS Commission on Cyber-Infrastructure for the Humanities and Social Sciences and the International Scientific Advisory Board to the CATCH program, NWO, the Netherlands. Dr. Hedstrom is a fellow of the Society of American Archivists and recipient of a Distinguished Scholarly Achievement Award from the University of Michigan for her work with archives and cultural heritage preservation in South Africa. Please RSVP here if you plan to attend in person. No RSVP is necessary to watch the webcast. This lecture, which is free and open to the public, is part of the Information Matters series, which is made possible through a collaboration between the Smithsonian Libraries, Smithsonian Institution Archives and the Smithsonian Office of the Chief Information Officer. For access services, please contact us at silrsvp@si.edu or 202.633.2241, preferably two weeks prior to the program.